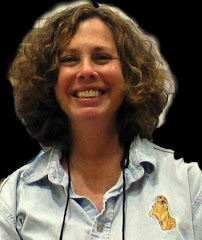 Alison Gaylin has been nominated for the Edgar three times. 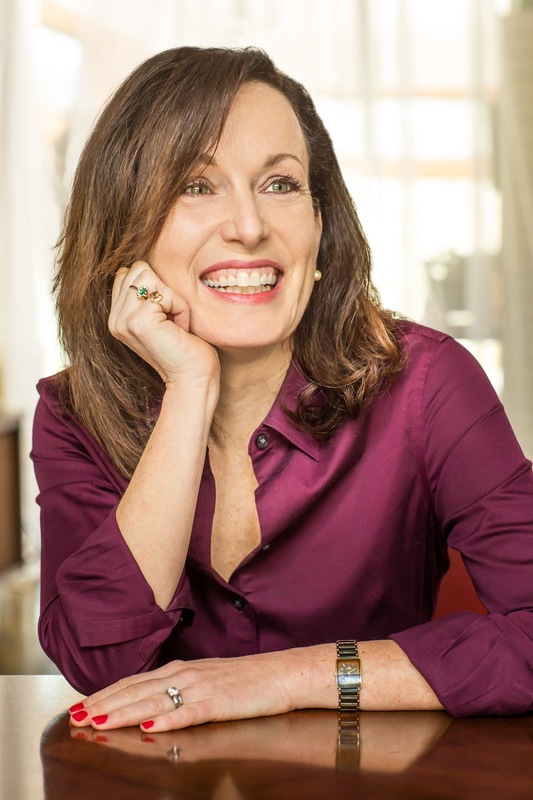 She has won the Shamus and RT Reviewers Choice Awards for her books, and has been nominated for the ITW Thriller, Anthony, and Strand Book Awards. 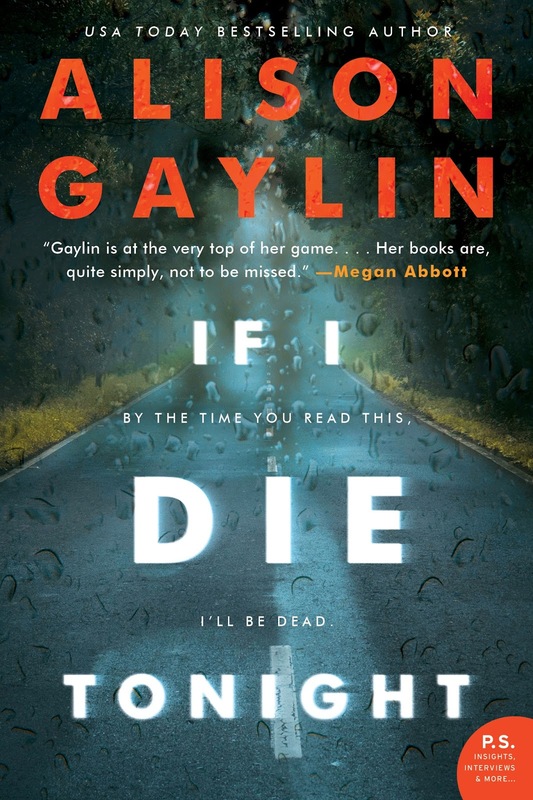 IF I DIE TONIGHT (out March, 2018 from William Morrow), her tenth book, highlights all of Alison Gaylin’s strengths—dynamic characters, family drama, and absorbing plot twists. Gaylin leaves the reader in suspense, tapping into the fears of a small-town community and a parent’s worst nightmares. When a teenage boy is run over during a carjacking involving a former 80’s pop star, suspicion falls on another teen from the neighborhood. Perpetuated by a social media blitzkrieg, roles of hero and villain solidify, but the seemingly open-and-shut police case turns out to be anything but simple. My daughter has her driver’s license. Somehow, she went from tentatively sampling her first spoonful of mashed banana to tooling around town in our Subaru in about ten-seconds flat, and I find that terrifying. I could go on here about the relentlessness of time, about how the speed with which our children grow up illustrates the brevity of life like nothing else. 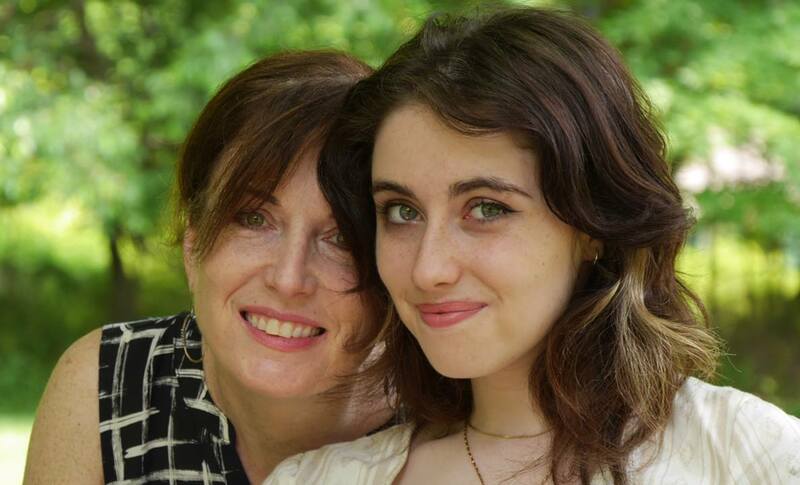 I could quote from Cher’s “If I Could Turn Back Time” or maybe Harry Chapin’s “Cat’s in the Cradle” with tears in my eyes, recalling the days – not so long ago – when my little girl held my hand to cross the street. But none of that quite approaches the mixture of feelings that barraged me after hearing, “Mom, I passed the driver’s test!” Yes, there was that overwhelming sense of nostalgia. But there was something else. Something harder to put a name to. Thinking about it now, I find myself remembering instead the first time my daughter took the bus to school. We kindergarten parents had all gone with our kids on a trial run – a five-minute, very bumpy ride in the big yellow bus, the main purpose of which was to assure us that nothing had changed since our own kindergarten days – which, in my case, hadn’t been such a great idea. On that trial ride, I remembered how nervous I had been on my first ride to kindergarten, how huge the bus had seemed, how everyone on it had been a stranger, how loud they all were, and how the whole experience had made me want to cry. Waiting with my daughter for the real bus ride, I recalled the sense of dread I’d had at her age, and wished I could go through those doors with her again, if only to protect her from feeling it too. But as ever, my daughter proved to be her own person. When the big yellow bus showed up, she gave me a quick kiss and bounded up the stairs, clearly ready to tackle this new adventure. What I remember most about that day was the way she’d waved to me from the window – something I know for sure I hadn’t done on my first school bus ride. And it said so much. Here was my five-year-old daughter, riding off to school for the very first time on a noisy bus with a bunch of strangers, the day and year and life ahead of her a story yet to be written. But instead of cowering in the back of the bus like I undoubtedly did, she was smiling, waving at me, yelling, “Bye, Mommy!” Taking the time to let me know there was no need to worry. She’d be fine without me. And she was. She is. She’ll be fine without me, is a thought I’ve been having a lot these days. Like most other aspects of raising a teenager, the thought is reassuring and melancholy and happy and sad and hopeful and, yes, absolutely, utterly terrifying. Because as proud as I am of the strong, smart, outspoken and kind young woman my husband and I have raised, I still don’t want to let go of that little girl’s hand. The other day, we got a call from her. It was a Saturday afternoon, and she’d driven to her boyfriend’s house for a brief visit and when I picked up the phone, I was met with a flood of apologies and complaints about the poor signage on his street and panicked assurances that it will never, ever happen again. I sighed. She still needs me sometimes. The thought didn’t fill me with happiness. But it didn’t make me sad, either. I love this post, Alison! Our son is in kindergarten just now, and he waves to me almost every day from the window--though it's started tapering off sometimes, sitting on the far side of the bus, busy talking with his friends, just forgetting maybe. Some poignancy there too. I appreciate your perspectives here, and those emotions (mixed) at the core of it all. Good luck to your daughter with driving--and with that ticket too! And hey—I have your book on my desk, looking forward to it! Oh how I can relate to this post! My son got his license is September and I'm still not used to him getting in his car and driving away. It is very much the same feeling as the day he start kindergarten... only this time he isn't crying and begging me to stay close. At least not on the outside. ;) Thanks for writing about this! Always good to know you're not alone.